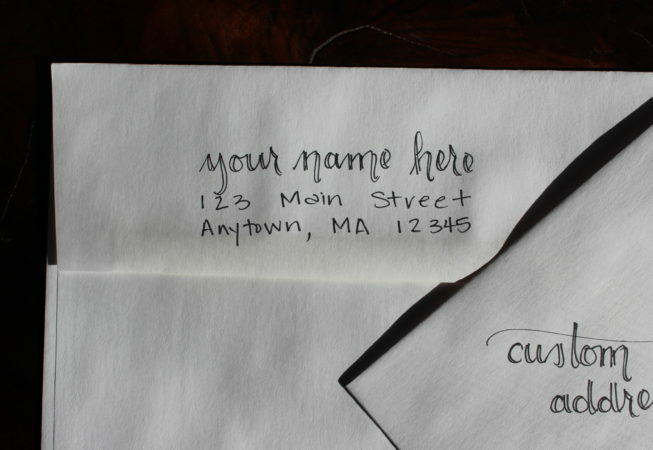 Formal, copperplate script calligraphy is a beautiful, elegant and timeless addition to your invitations, but it’s labor-intensive and expensive. 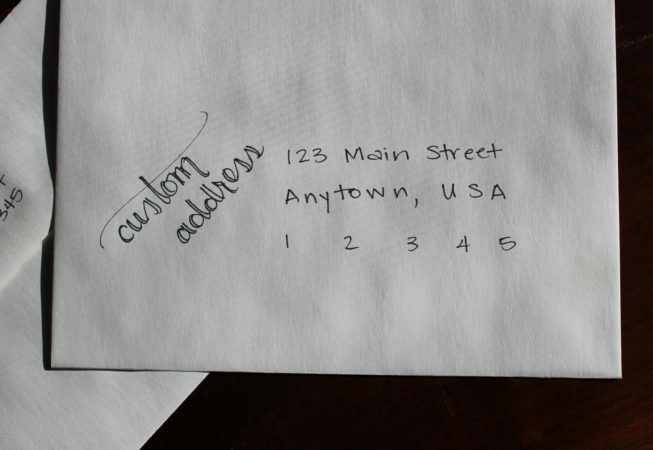 On the other hand, addressing envelopes yourself can be tedious and frustrating, and printed labels might not have the festive feel you’re looking for. 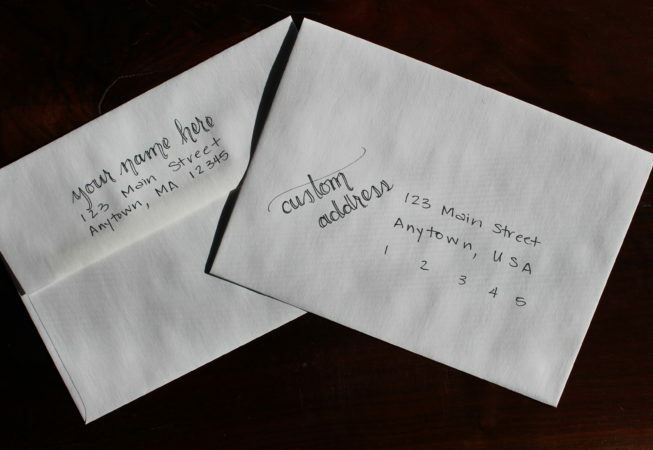 Custom, casual calligraphy is a great option! Send us your guest list and envelopes, and we’ll address, embellish, proof and send them back for half the cost of formal calligraphy, and in less time than it would take you to worry over the addresses yourself. 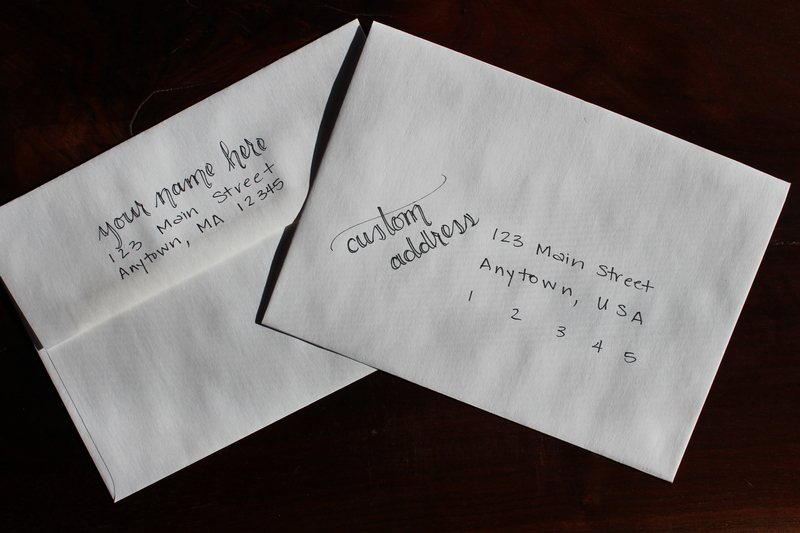 If you need envelopes (or invitations!) 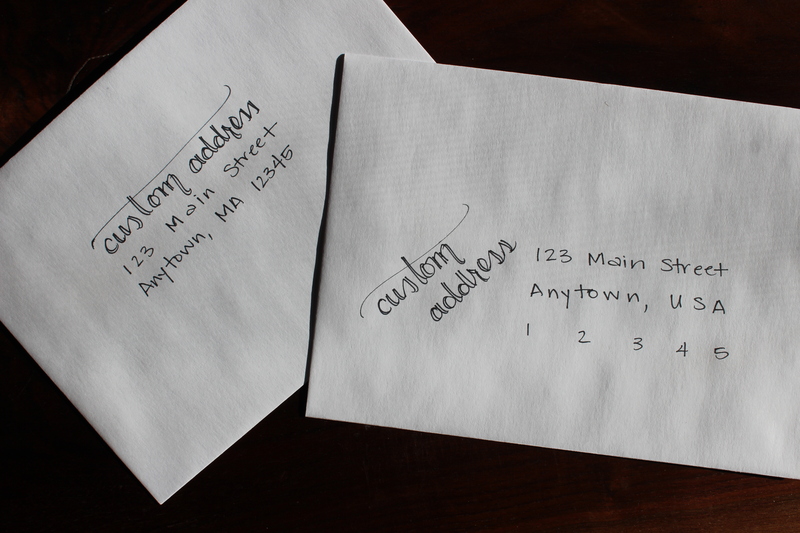 as well, we can help! 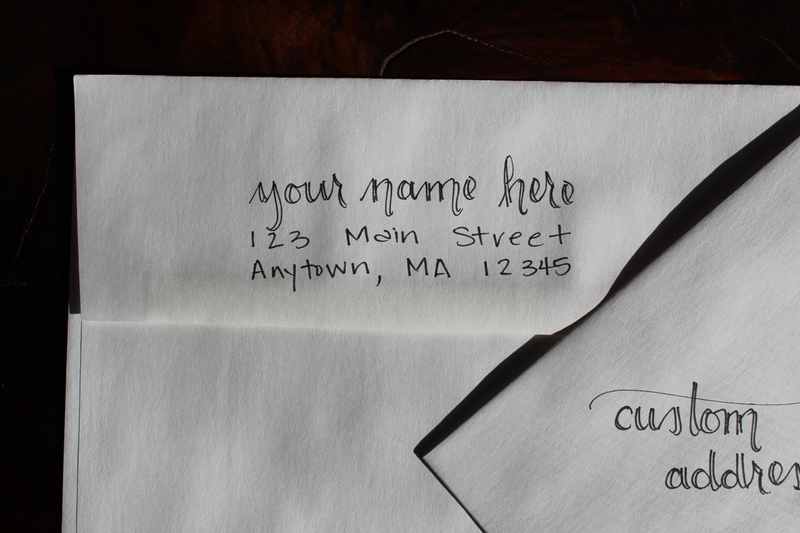 We specialize in custom stationery and wedding invitations, creating solutions that will stand out AND fit your budget. Samples are available, and custom orders are welcomed – email shop@unionjackcreative.com with any questions or special requests.